It is quite easy to understand why people confuse geckos with salamanders. Both are very small creatures and resemble each other in their body shapes. It may not be possible to differentiate the two immediately at first sight but they actually are very different! Rather, to be precise, they are separated by millions of years of evolution! We hope that once you are done reading this article, you will be easily able to distinguish between the two. To start with, Geckos are lizards that belong to the Gekkota infraorder. They are found throughout the world specifically in warm climates. These geckos exist in various sizes and lengths; they can be from about 1.6 cm all the way to 60 cm in length. A unique characteristic of a gecko is that it licks it eyes to keep them moist and clean! Moreover, its eyes are well adapted to enable it to see in the dark also; a fixed lens is present within each of its iris which enlarges as the light available decreases. This allows more light to enter its eyes. 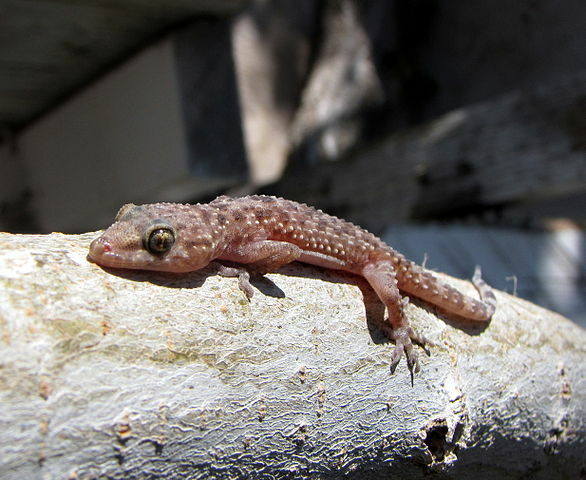 It is common to hear geckos make chirping sounds when they interact with each other. Geckos are famously known as that group of lizards that are species-rich. This is because they have 1500 different species around the world. Salamanders fall under the order of Caudata as part of the approximately 655 extant and extinct species of amphibians. The species present today are grouped under the term Urodela. They too have a lizard like appearance with short limbs that project at right angles to the body. They have slender bodies and blunt snouts together with their characteristic tails in adults as well as larvae. The region with the greatest diversity of salamanders is the Northern Hemisphere where most species are found in the Holarctic ecozone. There are also some species found in the Neotropical zone. Let us shed some light on the differences between these two creatures. Salamanders are amphibians whereas geckos are reptiles. There are about 360 different species of salamanders that are present in the world today. However, geckos have a group that is more diverse comparatively, with about 1500 species present in the world today. The two are also different in the type of skin that they have. Geckos have variably smooth skin that is impermeable to water. It can also be warty or rough. On the other hand, salamanders have smooth and moist skin which can be slimy sometimes. It is also very permeable to water. What is similar about their skin is that both animals shed their skin and eat the shed skin after that! As mentioned earlier, salamanders are amphibians and geckos are reptiles. This is the reason that salamanders like to remain in water. Rather they almost never leave it. In contrast to this, geckos will never enter water. Geckos normally live in trees whereas few salamanders colonize trees. Geckos can also be found in arid deserts but this is not possible for salamanders that need damp habitats to survive. Geckos and salamanders have similar morphology although it must be pointed out at this point that some salamanders can be very huge. Normally both creatures are under a foot long, but salamanders can be more than 2 feet long! allana. "Difference Between Geckos and Salamanders." DifferenceBetween.net. February 26, 2018 < http://www.differencebetween.net/science/nature/difference-between-geckos-and-salamanders/ >.